Harp, Violin, and Viola is not a common chamber music combination. We started The Polaris Trio in mind to explore the sound qualities and possibilities of such a combination. This concert will take you through the ages of music featuring duets and trios written by an array of composers. 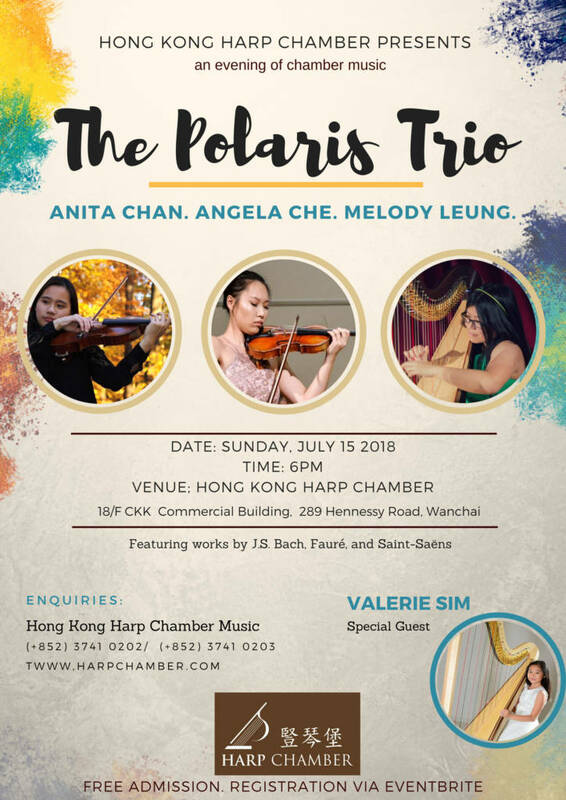 Through presenting a selection of pieces that showcase the interchange of melodic material between the instruments, we are able to experiment with the colours each individual instrument creates and the collective sound of the trio. Concert highlights include Saint-Saëns’s Fantaisie for Violin and Harp, Glinka’s Romance, and a movie medley. Free admission. Registration via Eventbrite.